I could use your help with this one. Help me to identify the church in the painting. I photographed it about 5 years ago while traveling on a rural road, between Hot Springs, South Dakota and the south entrance to the Badlands National Park. Sometimes the road was paved and sometimes it was gravel.I don't remember much because of the kidney stone attack I was experiencing during the drive. To my relief I passed the kidney stone about thirty minutes before coming across this beautiful scene. 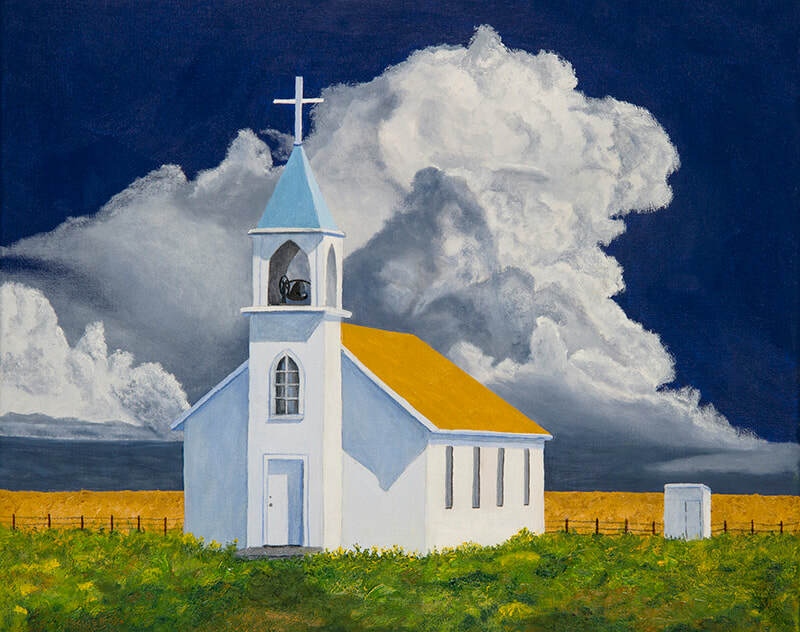 If you can provide me with the name of the church and its location I'll make you a 8X10 print of this painting. 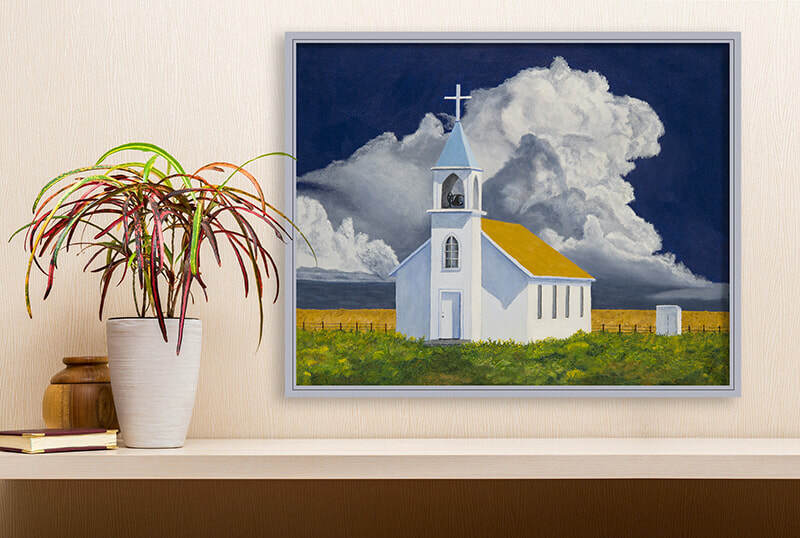 ​Sold unframed, but the frame is available at an additional cost.